Be a part of the new generation. Join us for exclusive updates & contests! 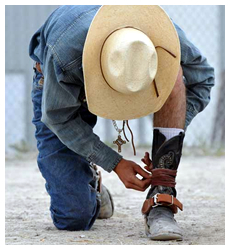 Learn the skills of being a cowboy through a rodeo school taught by the best in the industry. Get the advantage to be competitive or get your start in Junior or High School Rodeo. Sign up to receive updates about events, contests, fan discounts, incentives and everything rodeo! The Rawhide Rodeo Company brand has been producing rodeos and rodeo related events for over three decades. It has grown from a small professional rodeo company to one of the largest and most accredited in the world, producing nearly 100 rodeo performances each year internationally. Rawhide Rodeo prides itself on delivering an exciting brand of rodeo and family entertainment to millions of people and is proud to deliver a taste of the history and culture from which our great Country was built! For any questions about bringing a rodeo to your community, please feel free to phone or email us. We'll be glad to help!